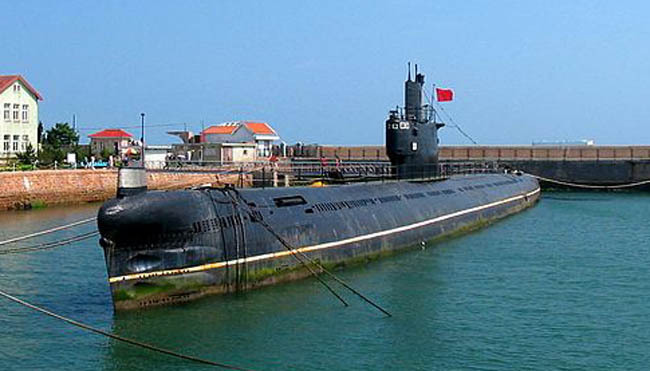 By far, the most common Submarine type in service with the PLAN during the early 1980s were the Type 033, the Chinese “Romeo”. Indeed, they all had been built in China, with Soviet assistance and over Soviet blueprints at first, as part of the 1950 Sino-Soviet Friendship and Mutual Assistance Treaty, but with Chinese-designed components and many improvements from 1962 to 1984. That was a massive undertaking for China at the time, which led to the next domestic Ming class. 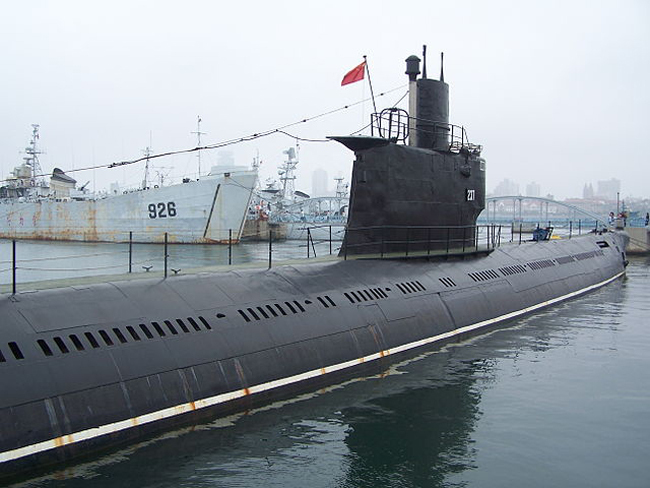 After the “Whiskey” (about 250 delivered), also produced in China as the Type 03, the Soviet type Project 633 (NATO id R or “Romeo”) was another success-story type in service with the Soviet Navy and many others, 133 being delivered until the 1980s. The last ones were only made for export, used by North Korea, Bulgaria, Syria, Egypt and Algeria. This was a technological quantum leap compared to the previous Project 613 and 611 (NATO Whiskey and Zulu) although still a conventional diesel-electric type, but short-lived. 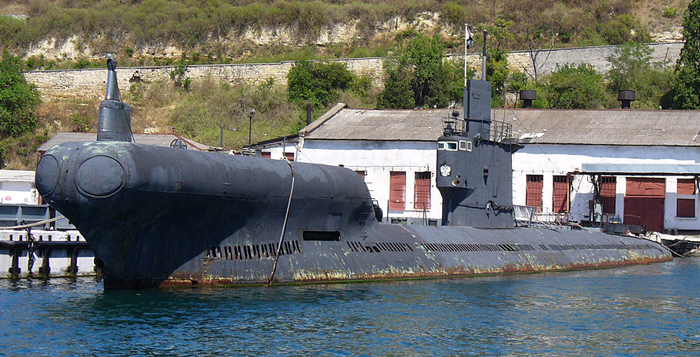 In December 1961 indeed, the Soviet submarine force swapped to the nuclear type (NATO “N” or November). Therefore only 20 of the initial order of 56 was completed at that date. Production, however, went on by China and through exports. 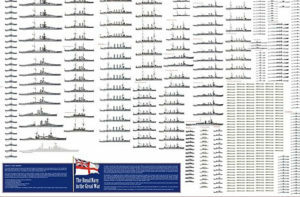 Most are retired today, although these submarines still had some value as local patrol submarines. 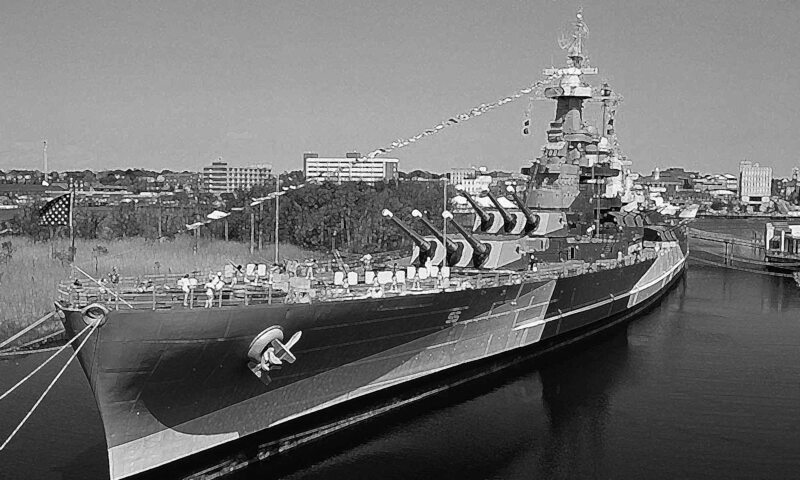 Overall, these were retained in service after the Soviet Union collapsed for training in various fleets, and perhaps two are still today in use for static harbor use. Over time, the Romeo was exported at a fair price : Bulgaria operated a single boat (Slava) until the 2000s, the last of the time in active service worldwide. 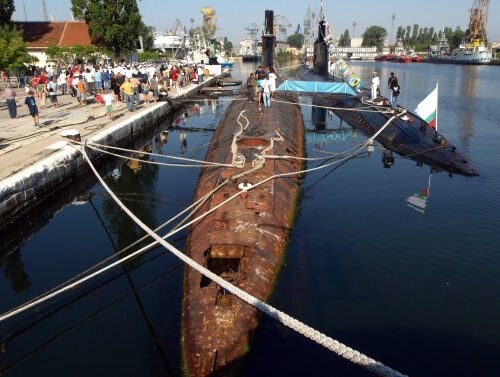 Syria received three boats in 1961, and Algeria two, now retired. About the time blueprints were received, production allegedly started in 1962 whereas documentation arrived in 1963 meaning the first to be built were kits and “regular” production started from 1963. 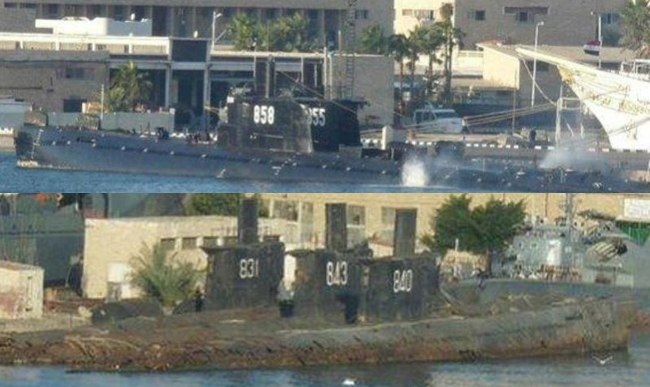 These indeed were six boats known as the Type 6633. However the Chinese started the design of their own model with some improvements, which is properly called the “Type 033”. Indeed, the first to be completed was in 1967. Just after the Sino-Soviet split and therefore the PLAN has to be self-reliant in the design and construction of this model, which featured improvements over the regular “Romeo” (see later). 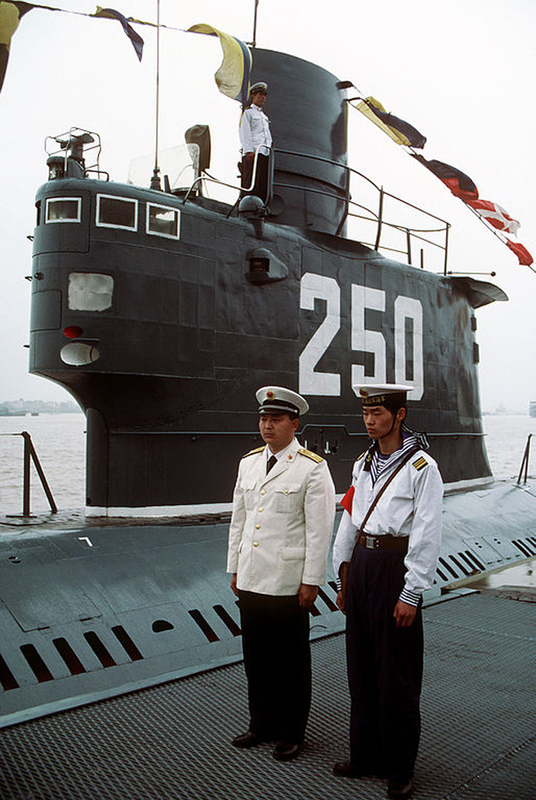 At the end of their career, these submarines were upgraded, while production was relaunched for export: The ES5A and later upgraded ES5B for Egypt (1984), and the domestic 033G/G1 (NATO Wuhan Class) major upgrade for PLAN’s boats and its missile variant (SSG). 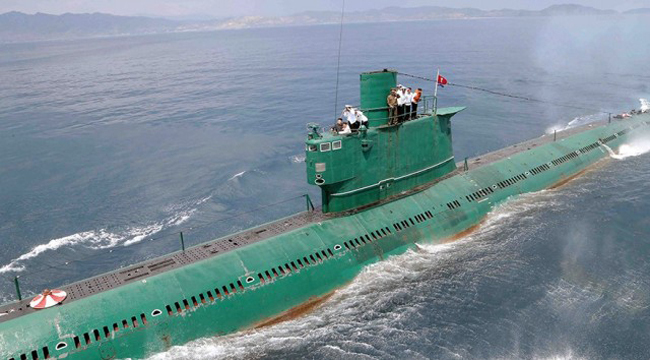 North Korea also uses the type, assembled at Mayang-do Naval Shipyard assembly site from knock-down-kits and another batch with spare parts (photo). 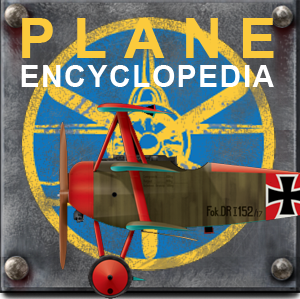 This was the early version, obtained from the assembly of knock-down kits provided by USSR. Over 6 kits planned to be assembled only 2 were so completed however. Indeed this program cut short when diplomatic situation degraded with the USSR. Parts were no longer delivered after the Sino-Soviet split. The 3rd unit lay incomplete at Wuhan Naval Yard. The first pair was completed but extra parts had to be to be designed and crafted locally. 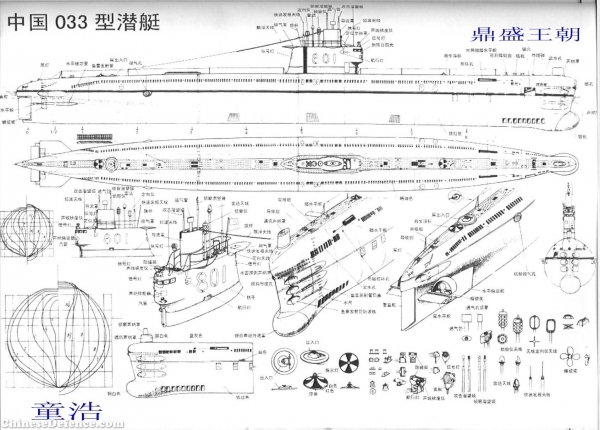 Therefore the Type 6633 was already a Chinese boat, diverging from the original “Romeo” as it notably used domestic Chinese batteries, which claimed superior performances compared to the Soviet model. The two boats were introduced in the PLAN possibly in 1964. Their fate is unknown. This was the main Chinese type. It was done in 1967, after trying to reverse-engineering and replicate the third Type 6633, devoided of most of its parts. It seems the first completed boat was delivered in 1967. The project Type 033 according to the year on the Chinese traditional calendar. Like the third 6633 which was mostly made of replicated parts according to the blueprints, and with Chinese batteries, the type was externally very close to the Soviet model. However, since most boats were deployed initially on the south China sea it appeared their refrigeration and air conditioning systems, designed for cold and dry climates was totally inappropriate and has to be replaced. 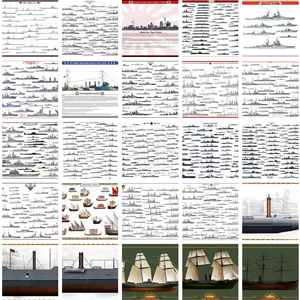 The South China sea’s boats all undergone a refit of these systems. This process started in September 1969 at Huangpu Shipyard in Guangzhou. 13 of these “tropicalized” versions were delivered to the China’s PLA in the 1970s. This denomination Wuhan or Wuhan A according to the Wuhan 701 naval institute is not widely recognized but is found in some literature and reports back when the type was discovered. A single Type 033G was completely rebuilt as an SSG (diesel-electric, missile attack sub) to carry and fire six YJ-1 (NATO id CSS-N-4) anti-ship missiles. The missile could only be fired on the surface and the process lasted for 7 minutes. The missiles have a radar homing to 40 km (22nm) at mach 0.9. They are of the sea-skimming type, carrying a 165kg warhead. They are guided by a Type 358G fire-control radar. The torpedoes’s own passive homing/range is 15 km at 40 knots, carrying a 400 kg warhead. Also, noise reduction was greatly improved, lowering the sub signature by 12 dB, so 108 dB total compared to the original Soviet boats’ acoustic signature of 160 dB. However the missile capability is not capable of over-the-horizon targeting. This trial boat was not followed by any conversion and ended service either in the late 1990s or even 2001 (Hazegray). 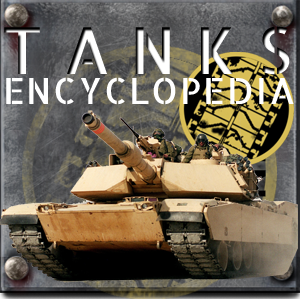 A montage of photos of the Egyptian ES5/ES5A type. The Ming class was partly elaborated from these upgrades. Bulgarian Type R “Slava”, probably the last in service anywhere, now retired.